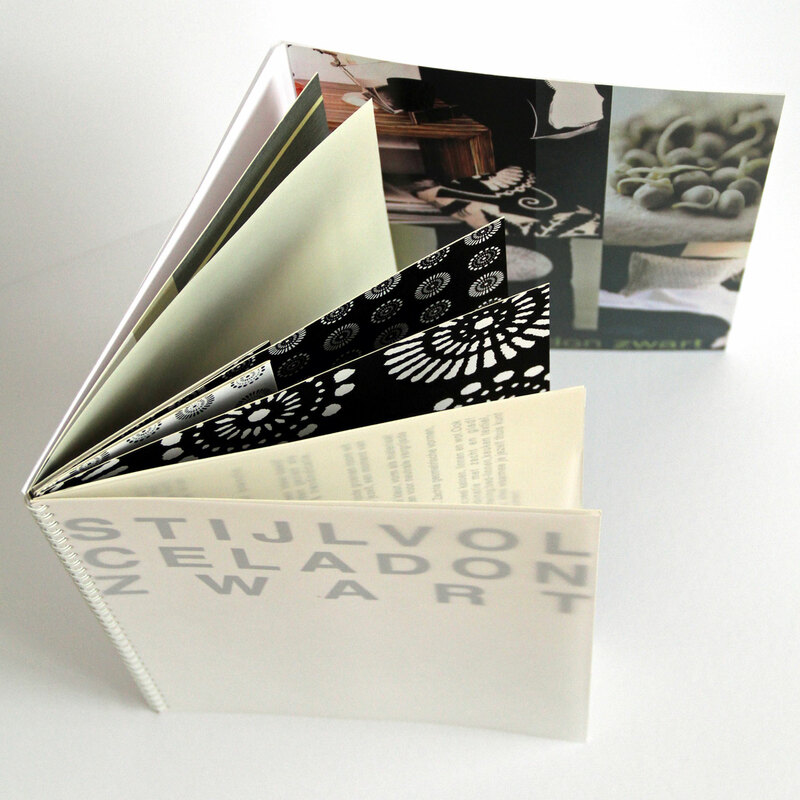 A4 sized paper booklet, containing a small mood board and several textile designs. This theme CELADON is created with black and crisp white combined with shades of celadon green. 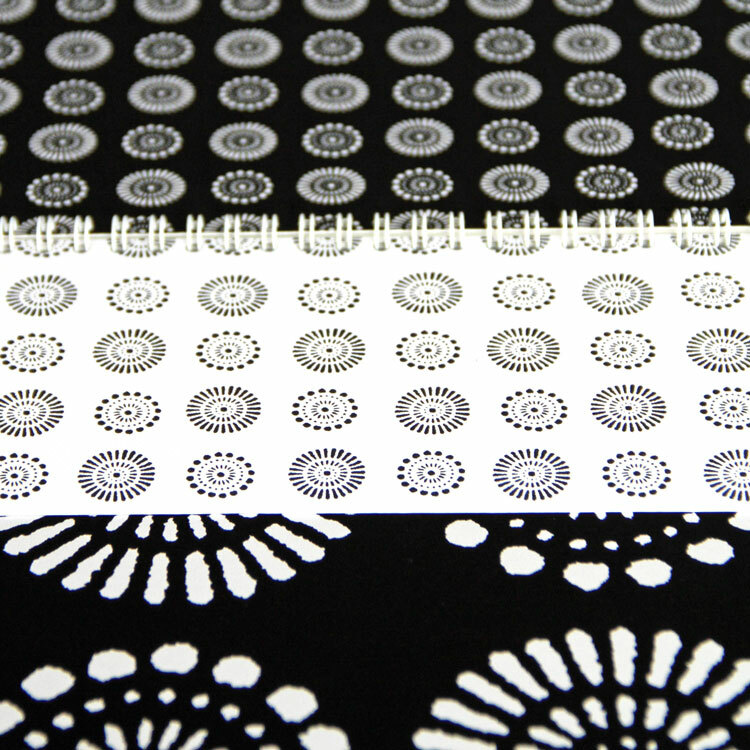 The textile designs contain floral stamps, stripes and check patterns.